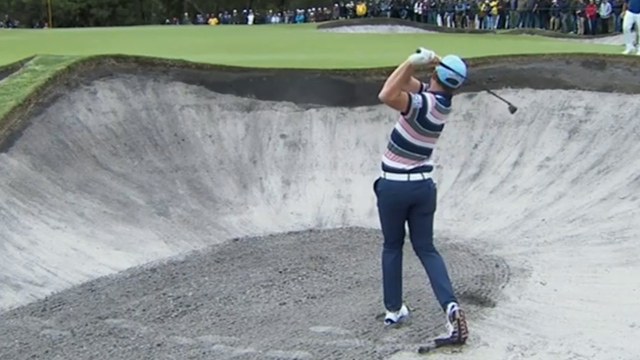 Belgium have withstood a late charge from Australia's Marc Leishman and Cameron Smith to win their first World Cup of Golf. 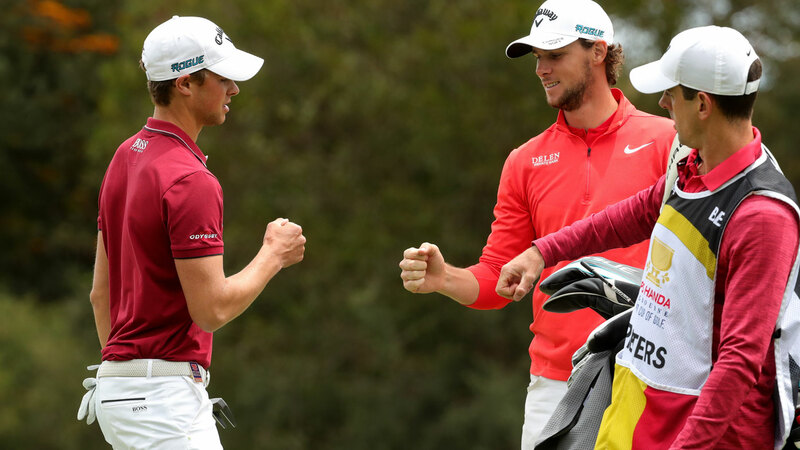 Team Australia had a run of three straight birdies on the back nine of Melbourne's Metropolitan Golf Course but Belgian duo Thomas Pieters and Thomas Detry held their nerve for the win with Mexico also tying for second. The Belgians earned their biggest ever payday with the victory, collecting $A3.04 million. World No.21 Leishman, the highest ranked player in the field, was left to rue an opportunity gone begging on the 16th when he missed a short birdie putt which would have put them within one shot of the leaders. Belgium had bogies at the 15th and 17th but they iced the win with Detry sinking a birdie putt on the final hole to finish at 23-under for the tournament, three shots ahead of Australia and Mexico. What really proved the difference was the local team's performance in the wild weather during Friday's second round, when they signed for a 76. Defying the heavy rain and wind, Belgium built their lead with a one-under 71, which was one of only four scores under par for the day. World No.70 Petrie and Detry, ranked 140, have been friends since their childhood days and aged just a year apart both attended the University of Illinois in the US. Detry, whose best result has been a win on the European Challenge tour, said he was thrilled to take the title with his "big brother". "It feels amazing, world champion," the 25-year-old told Channel Nine. "I didn't struggle. It's nice to have a big brother talking to you and calming you down." Mexico's Abraham Ancer capped a big fortnight with the second place with teammate Roberto Diaz coming after his Australian Open title win in Sydney.